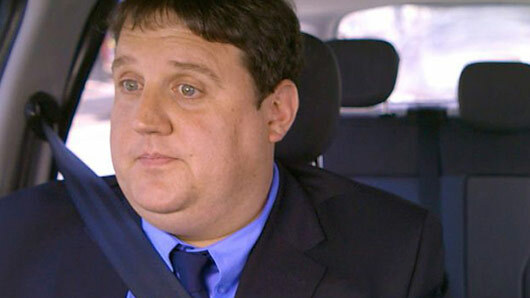 Following the cancellation of his upcoming tour, the BBC has confirmed Peter Kay’s Car Share specials will still be going ahead. However, the BBC has confirmed this won’t be affecting the broadcasting of new Car Share specials, including a planned finale and a one-off unscripted special. The unscripted show is entirely improvised and follows characters John and Kayleigh as they make their daily commute home. In a statement announcing the cancellation of his tour, Peter Kay explained: “Due to unforeseen family circumstances, I deeply regret I am having to cancel all of my upcoming work projects. He continued: “My sincerest apologies. This decision has not been taken lightly and I’m sure you’ll understand my family must always come first. “I’ve always endeavored to project my family’s privacy from the media. I hope that the media and the public will continue to respect our privacy at this time. Peter Kay’s Car Share specials are set to air sometime in 2018.